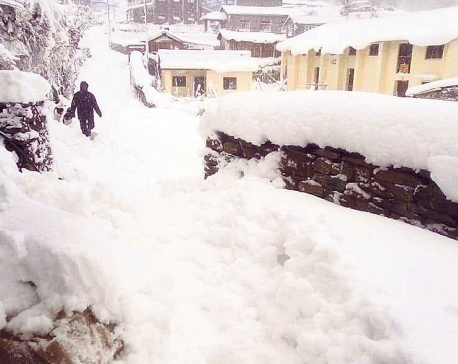 BAJURA: Jan 22: Bajura has seen heavy snowfall for the third time since third week of December. Normal life has been adversely affected due to recurring and abrupt snowfall. The snowfall followed by heavy rain since Monday midnight have whitened the human settlement and mountains in the district. 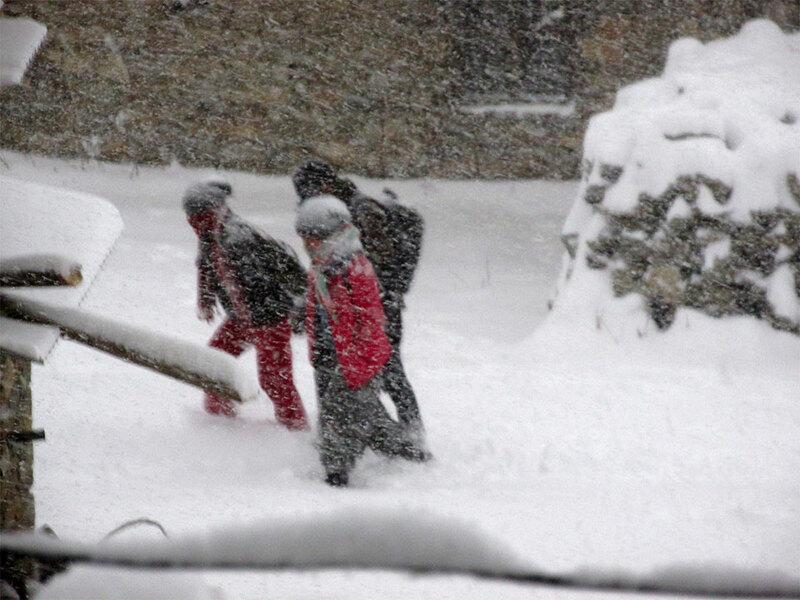 The forest areas nearby the district headquarters have seen a pile-up of around half-foot snow. Life in high altitude areas has been badly affected. 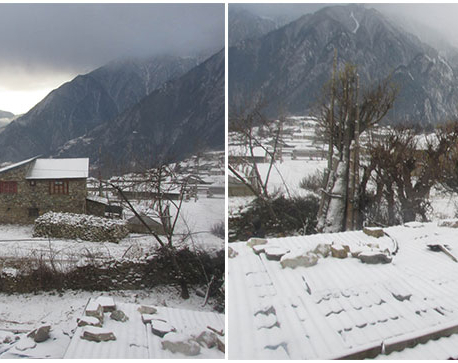 Meanwhile, the snowfall with breezing wind occurred since Monday midnight also has troubled normal life in Humla.